HB Contract is Founded in 1997, since then the company has been working in the furniture and fixture contract sector. HB Contract is specialized in the interior fitting out of residences and commercial spaces. The main goal of the company is quality of work and time, and it only works with carefully selected range of producers, as wood, glass and steel makers, uppholsters etc. We work both directly with the client or with the architect or the project manager, from there on we proceed on developing the executive part of the work and follow it until the installation is done. 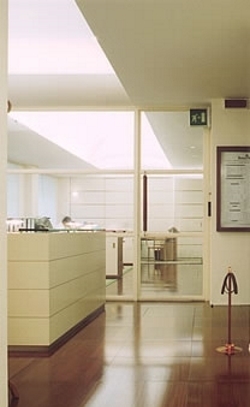 We have worked on retail fittings in Italy, England, France, Germany , Japan and Korea. Arch. Valeria Cosmelli, Arch. Giulia Glarey, Arch. Giovanna Pace, Arch. Giovanna Pace, Arch. Paolo Re, Arch. Michael Zerilli. To mention some of our clients: Virgin Active Italia, Fitness First, CP Company, Fiorucci store, Banca Akros.